A great way to celebrate Labor Day: Raise the minimum wage! Labor Day is a time for Americans to pause and celebrate the valuable contributions workers have made to the social and economic fabric of our country. It is a chance to consider the important achievements of American workers in seeking fair wages, a safe workplace, and a dignified, secure retirement. As we look back on all that our nation’s workers have accomplished, however, we must also look ahead to the work we have left to do to strengthen the middle class and protect these hard-fought gains. 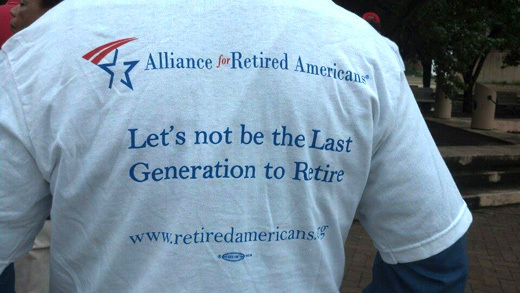 Make no mistake: It is a challenging era for workers and retirees in America. Income inequality is at levels not seen since before the Great Depression. While those at the top have accumulated more and more wealth, real median wages remained flat for nearly 30 years. In addition, unemployment rates have been slow to fall as we continue to bounce back from the Great Recession. America’s workers are more productive than ever before, yet wages and benefits haven’t been rising in step. 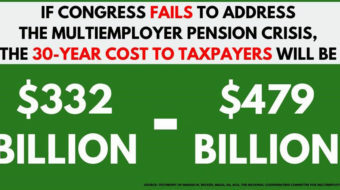 All of this has placed an increasing strain on our nation’s workers and retirees. Prosperity and peace of mind shouldn’t be reserved for the richest of the rich. Across the country, Americans are demanding that fairness and opportunity be restored to our economy. American workers deserve a system that works for everyone, not just for the wealthiest 1 percent. While the rising tide of inequality has been a burden for workers across the board, it has been our most vulnerable workers, those with earnings at or near the minimum wage, who have been hit the hardest. Adjusted for inflation, today’s federal minimum wage is lower than it was in 1968. In the wealthiest country in the world, people who work hard and play by the rules should not be forced to live and retire in poverty. It is long past time for Congress to take action to raise the federal minimum wage. Despite what some conservative commentators may claim, minimum wage workers are not teenagers looking for extra pocket money. According to the Economic Policy Institute, of the workers who would receive a raise if the minimum wage were lifted to just $10.10 by 2016, only 12.5 percent are teens. In fact, of those affected, more are age 55 or older than are teenagers. The average age among affected workers is 35 years old. More than a quarter of those who would benefit from raising the minimum wage to $10.10 an hour are parents providing for children. More than half are women. Not only would restoring the minimum wage improve the lives of millions of American workers, but it would also benefit our nation’s current and future retirees. With fewer and fewer employers offering defined benefit pension plans, many seniors depend on minimum wage jobs to supplement their Social Security benefits. Not only do seniors benefit directly from the wages, but the financial health of our Social Security system is affected by economic growth, wage levels, and the number of workers paying into the system. Increasing the earnings of low-wage workers would mean more revenue coming into the Social Security system and a brighter financial outlook for the program in the future. Furthermore, since Social Security benefits are based on lifetime earnings, a higher minimum wage would mean enhanced benefits for these workers when they hit retirement. Since low-wage workers rely on Social Security for more of their retirement income than other workers, higher benefits are particularly important when it comes to keeping these seniors out of poverty in their later years. In addition, a higher minimum wage makes it easier for workers to save. For many low-wage workers, just putting food on the table is hard enough. When workers are struggling to get by, there simply isn’t anything left over to set aside at the end of the month. Restoring the minimum wage would make it easier for Americans to save for retirement. 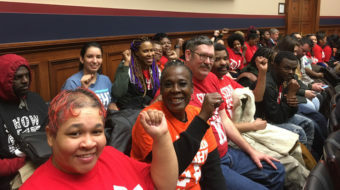 Earlier this year, a proposal to restore the federal minimum wage fell victim to election-year politics as Senate Republicans blocked the measure from coming up for a vote. The U.S. House’s ruling Republicans flat-out defeated it on a party-line vote. As Republicans in Washington protect the interests of their wealthy donors, our most vulnerable workers and retirees are falling further and further behind. Leaders in state capitols across the country aren’t waiting for Washington to get its act together. 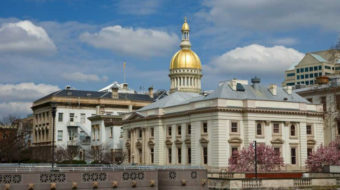 Already this year, states from Connecticut to Hawaii have taken the lead and passed legislation to raise their minimum wages. Fighting this battle state by state, however, just isn’t enough. The time has come for Washington to raise the minimum wage for the good of all of our nation’s workers and retirees. If it were not for the labor movement, there would be no Social Security. There would be no Medicare. It was only through our collective bargaining rights and our political strength that we were able to make these things happen. Fighting to raise the minimum wage is a part of the struggle to protect retirement security in America. This year, let’s make Labor Day more than a chance to throw hot dogs on the grill. We have to let our friends, neighbors, senators and representatives know that the fight over restoring the minimum wage isn’t just about raising wages and fighting inequality. It’s about keeping our Social Security system strong and healthy, about enhancing benefits for future retirees, and about helping working seniors to make ends meet. Restoring the minimum wage is about protecting the retirement security of all of us, and it’s time for Congress to act.